Kangana Ranaut’s latest offering, the period drama movie ‘Manikarnika: The Queen of Jhasi’ has completes its 3 weeks journey at box office on a decent note. This was year’s one of the most awaited movies but has not performed up to the expectations and slowed down so early. Manikarnika: The Queen of Jhasi is based on the real life of Rani Lakshmi Bai of Jhansi. Both critics and audience have appreciated Kangana performance. The film’s action sequences and epic set designs have also received praise. Manikarnika was released on 3700 screens in 50 countries worldwide in Hindi, Tamil and Telugu on January 25, 2019. 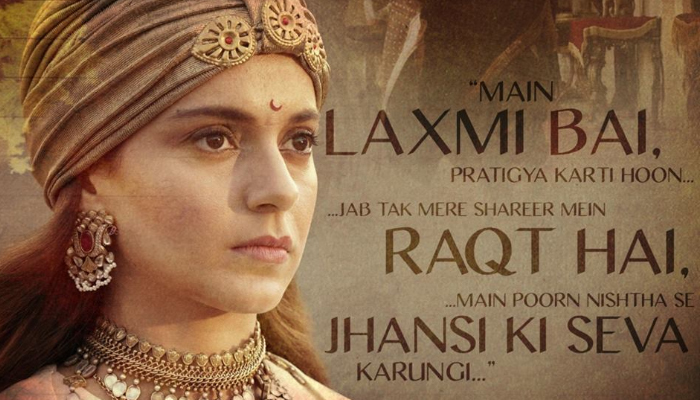 In the first week with almost good performance, Radha Krishna Jagarlamudi and Kangana Ranaut’s recent venture Manikarnika had reported the business of 61.15 crores that includes 42.55 crores of weekend and 18.60 crores of weekdays. In the second week, it faced big dip in its business graph and raked the amount of only 23.40 crores that includes 15.50 crores of weekend and 7.90 crores of weekdays. After the 2 weeks, total domestic collection of Manikarnika was recorded as 84.55 crores. In its third week, it received decent response through out and minted the amount of 7.15 crores in the weekend that includes 1.25 crores of Friday, 2.65 crores of Saturday and 3.25 crores of Sunday. In weekdays, witnessed more lesser response and done the business of 0.85 crores on Monday, 0.75 crores on Tuesday, 0.70 crores on Wednesday and 0.45 crores of Thursday. After 3 weeks, total collection of Manikarnika is recorded as 94.45 crores on domestic box office.